If you like diving then the Maro – Cerro Gordo Area of Natural Beauty in Nerja is your personal paradise. The cliffs, caves and seagrass meadows are the perfect habitat for discovering different marine species and make you feel like a true adventurer. As well as this unique landscape you can find other areas such as the Peñón del Cuervo in Málaga and the Laja del Almirante in La Cala de Mijas. These are just some of the recommended scuba diving destinations, but the Costa del Sol boasts many more, depending on your diving ability and experience. An introductory diving course is the best way to start experiencing the sea and discovering the secrets of Málaga's coast. 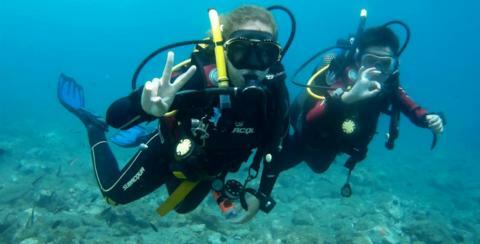 There are numerous diving schools on the Costa del Sol that offer introductory courses. The superb marine and meteorological conditions make the Costa del Sol a perfect choice for seasoned divers and freediving enthusiasts. 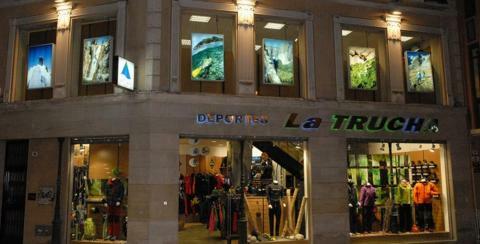 Here you can find a list of companies that offer scuba diving activities on the Costa del Sol. Check out the range of services available and enjoy an unforgettable experience of the sea and nature. ScubAzul is passionate about the sea world. 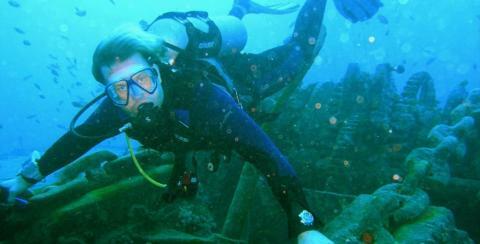 It offers scuba diving courses and outings in safe quality environments ensuring tons of fun.